Country was originally the music of European immigrants that brought their folk songs and instruments to the Appalachian mountains of early America. It started as the music of down to earth farmers and working class people that wrote songs, ballads and dance music to entertain themselves in the evening after a long work day. The sound of Country music is defined by the boom-chick of an acoustic guitar and the twang of an electric or pedal steel. Add in a banjo and a sweet fiddle, then you’ve got a country song! Country has evolved into many different sub-genres, but at its core it still just wants to sing a story to a tune with a twang. 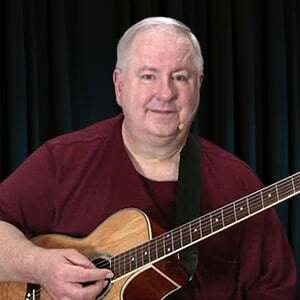 If you are more experienced, you can explore country guitar topics in more detail from the lessons below. This B-bender guitar tutorial was inspired by a subscriber in the forum, that had recently gotten one of theses guitars. In the first lesson I'll describe this device, tell you how it works, and use it to complete an A chord. Then I'll show you a two finger bending combination, and then the same one using a bar instead. Both of these concept's are useful, and can lead to some great licks. This tutorial on B-bender guitar was inspired by a subscriber in the forum, that had recently gotten one of these guitars. 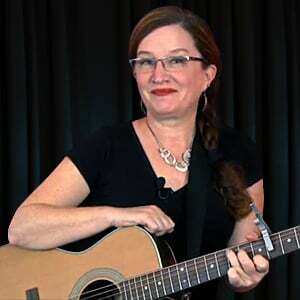 I'll show you several ways to use a B-bender with open chords, and how it works with E formation barre chords. Next a few ways to use it with a G chord, and then the A formation barre chords. Some of these only work with a whole tone bend, and others only work with a half tone bend. This tutorial on chicken pickin' was inspired by a subscriber in the forum although I've been meaning to do this for a while. I'll show you these concepts followed by a lick in the style of their creators. One method is the popular hybrid pickin' concept and the other method uses the flat pick. Next I'll cover what chicken pickin' is today and share some licks that every chicken picker should know. This hybrid picking progression in A was inspired by the basic hybrid picking exercises, to show how adding other concepts to the exercises can make some awesome riffs. First I'll show you the riffs using the 1, 4, and 5 chords in the key of A. I'll also talk about palm muting, and then play them in a progression. This tutorial on playing in thirds was inspired when I was trying to think of useful concepts, that would teach some basic ideas for starting to solo. I've put together 4 combinations, and used these shapes in eight positions. I'll play the notes at the same time, and then I'll split them up. I'm starting in the 3rd fret, and I'll move it up to the 15th fret using the musical alphabet. This double stop progression was inspired by some pickers I've met while performing, and they wanted to know how I put these licks together. The first one is mostly double stops, but there are hammer ons, pull offs, even string bending in the next three. I'll show you the licks in the 1, 4, and 5 chords, and play them with the "Med A 1-4-5 Progression Jam" in our jam station. This double stops tutorial was inspired by some pickers I met on the road, they all wanted to know how I was playing these licks. The first two lessons are a 1, 4, 5 progression in G, and then I'll show you a few double stop tricks. 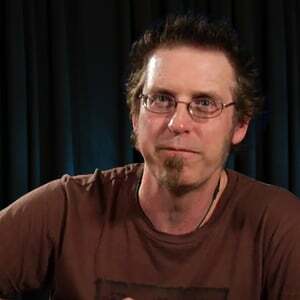 I'll also combine some other techniques like string bending, with the hybrid picking licks, and then a G progression using open chords. This tutorial on string bending was inspired by a few subscribers in the forum, that wanted to know how to start bending strings. I started with useful tips, followed by sixteen lessons using whole tone bends on the B string. In the first eight I'm bending the 2nd note of the scale up to the 3rd. In the next eight I'm bending the 4th note of the scale up to the 5th, and close with tips on how to use them. This tutorial on string bending was inspired by a few subscribers in the forum, that wanted to learn how to bend strings. I'll show you two ways to bend the string in the first lesson, and give you some tips using both of them. The next eight are all whole tone bending positions on the G string, starting with an A bend in the 4th fret, up to the A bend an octave higher in the 16th fret. This tutorial on string bending was inspired by a few subscribers in the forum, they wanted to learn how to bend strings. I'll show you some useful tips, and eight whole tone bending positions on the G string. I'm starting with a G bend in the 5th fret, and going up to the G bend an octave higher. Then close with tips on how to use them, and how they all work together. This tutorial on bending the flat 7 up to the 1 was inspired by my other string bending tutorials. I'll show you the bend in A, and then use it with other whole tone bends. I'll show you some steel guitar licks, and then how to bend a scale. After a few bending combinations, prebend some strings, and then I'll put it in reverse. Finally, I'll close with some useful tips about how to use this in other keys. This tutorial on prebending strings was inspired by all the other string bending tutorials, and all the legendary guitarists that use this concept. In the first lesson I'll mention a few of them, then show a couple of examples using this trick. Then I use bending positions that work with the 1, 4, and 5 chords in the key of A, and also talk a little about how palm muting works with this too. This tutorial on prebending strings was inspired by all the other string bending tutorials, and all the legendary guitarists that use this concept. In these lessons I'm sliding up a whole step to the note, prebending the string up to the same note, and releasing the bend. Put these together for a 1, 4, 5, 1 progression in the key of A. This tutorial on string bending behind the nut was inspired by a previous tutorial on B bender guitar. I'll show you how to do this with the left hand, and also using the right hand. Then I'll show you how this works with open chords, and also the barre chord positions. Some of these will work by bending the string a whole tone, and some work by bending the string up only a half tone. This tutorial on string bending behind the nut was inspired by a previous tutorial on this technique. I'll show you how to do it with the left hand, and also the right hand. Then I'll show you how it works with open chords, and also barre chord positions. Some of these work by bending the string up a whole tone, and others work by bending the string up only a half tone. I will explain several uses for the baritone electric guitar. Some are classic licks you've heard but didn't know what "that sound" was coming from. Many of the lessons here will show other uses a baritone is good for, from tic tac bass, to tremolo licks heard on many new country and rock records. Bass runs and other easy ornamentations give your strumming a very country-ish flavor. In this tutorial, you'll learn a variety of runs, and apply them in a variety of time signatures and rhythmic feels. 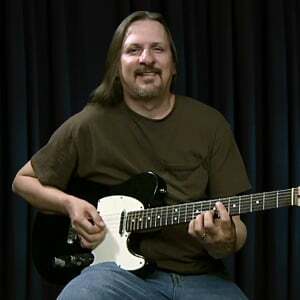 In this 2 lesson set, Andy Gurley will be the guest host for the GT channel and teach you one of his country guitar licks, then J.D. Jarrell will join him and they'll give you insights on how to play a dual solo. Examples of different country riffs, demonstrated with progressions, covering what's been demonstrated so far in this chapter.